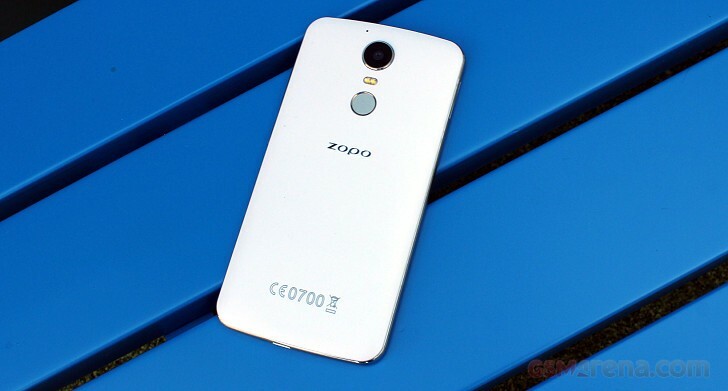 The Zopo Speed 8 is the world's first smartphone to feature MediaTek's flagship Helio X20 SoC. In case you're not familiar with this beast - it's the first with a deca-core processor (yes, that's 10 CPU cores). But first things first. The Zopo Speed 8 has a 5.5" IPS 1080p display and rocks a 21MP Sony IMX230 camera with phase-detection AF and a dual-tone flash. There is an 8MP selfie shooter with a front LED flash too. The inbuilt storage is 32GB, expandable of course, while the battery is the beefy 3,600mAh. The Speed 8 has a USB Type-C connectivity port, supports fast charging and LTE connectivity. We stopped by at Zopo's booth and grabbed a Speed 8 for a quick hands-on. 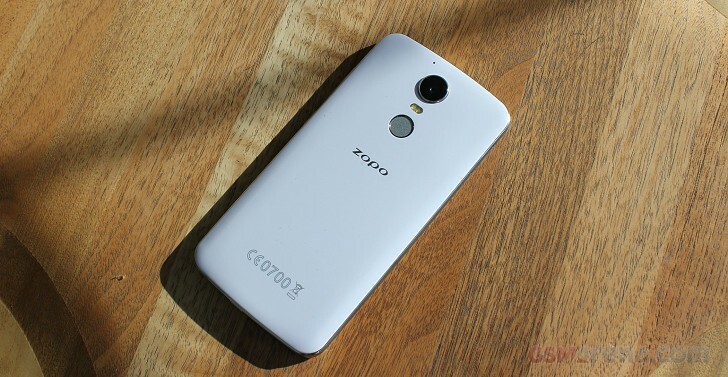 The Zopo Speed 8 is made of matte plastic, which is very nice to the touch and immune to fingerprints. It feels very sturdy too. The glossy silver frame, on the other hand looks like it might start chipping and showing other signs of wear and tear very quickly. It may look like a metal frame at first, but it's a plastic lookalike. We like the silver accents around the earpiece, the rear camera, and the fingerprint scanner on the back. The biometric sensor is placed perfectly there, right at your index fingertip. The phone isn't the thinnest there is, but it hits a good spot when it comes to weight. It feels right in the hand, not too light and not too heavy, and offers a nice grip thanks to the matte finish. We liked its clean design and handling. The Zopo Speed 8 runs on Android 6.0 Marshmallow with little to no customizations, and the experience is very close to the pure Android we are used to in the Nexus line of smartphones. The OS was snappy and ran without hiccups although we didn't actually test how it will handle heavy apps. And now, the Helio X20 chipset. It has a 10-core 3-cluster processor - 2x Cortex-A72 @ 2.5GH + 4x Cortex-A53 @ 2.0GHz + 4x Cortex-A53 @ 1.4GHz. The GPU is Mali-T880 MP4, and there are 4GB of RAM. The Galaxy S7 and Galaxy S7 edge utilize the same GPU in their Exynos models, but it's Mali-T880 MP12, which means three times as many cores as the Helio X20's GPU. We ran a few benchmarks on the Zopo Speed 8. The single-core performance meets the expectations but the multi-core performance falls somewhat short. We suspect GeekBench 3 isn't reading all three clusters of CPU cores and will need an update. We can't be sure whether the rest of the benchmarks were properly gauging the 10-core processor either. The GPU test Basemark X shows the quad-core Mali-T880 isn't the best performer out there, but it should perfectly handle everything on its 1080p display, even the heaviest of games. You should note this is a pre-production unit, and the performance will improve when it's finalized. Those benchmark apps most probably need an update to support the new chipset too. Finally, we weren't able to test the camera performance. On a positive note, you can use the fingerprint scanner as a hardware shutter when taking selfies. Zopo Speed 8 will be available for purchase globally this April from Zopo's online shop. According to Zopo is the inbuilt storage NOT EXPANDABLE. Which is a f.... shame!!!! When is it available with the full specs please. 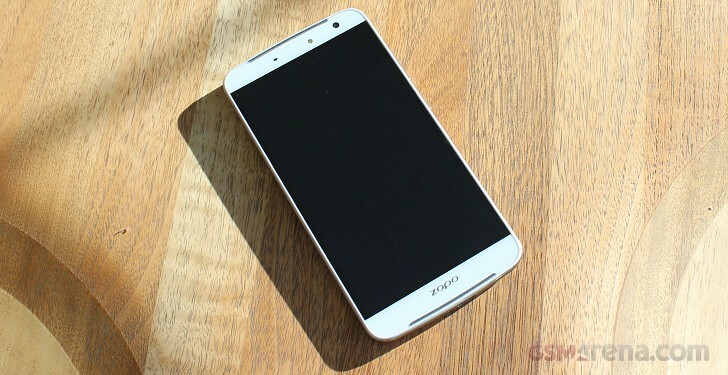 You commented that this phone is a prototype and that it only has a plastic frame. 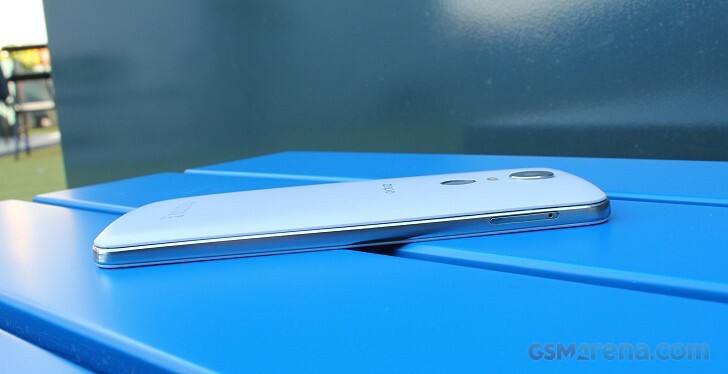 This seems very poor for an at least mid-range phone, is it possible that the full production model will have a decent real metal frame?